While Nick and I are in San Diego for a conference, we capitalized on the opportunity to visit some local marijuana dispensaries as they just started selling recreational cannabis on New Year’s. 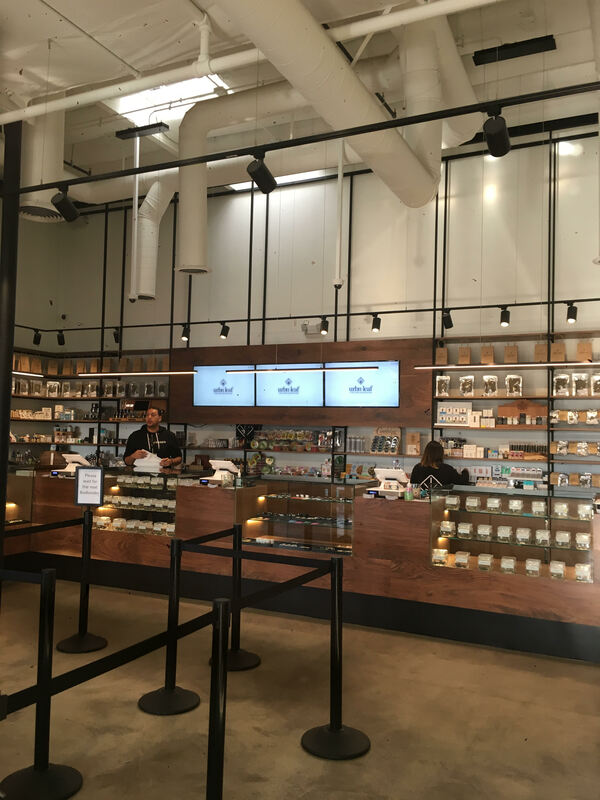 We’ve been covering the legal retail marijuana industry for a few years now, and our visit to these stores only reaffirmed our belief that these businesses will grow into bona fide retail powerhouses. Upon walking into each store, we were met by a security guard who checked our bags and used a wand to make sure we were not carrying a weapon. They then directed us to the check in area, which looked either like a glass kiosk or simply an employee at a desk with a computer who scanned our licenses and made customer profiles. This way the dispensaries ensure their customers are at least 21 years old (the required age to buy retail marijuana) and also keep their purchases on file for returning customers. After, we were either directed inside a bud room or into a waiting area. At one dispensary the wait was a rather long 20 minutes due to high traffic, but had comfortable couches and cool music, as well as edible magazines and a TV that highlighted one of their specials or the store’s latest feature in the press. I also got a chance to see a slice of their customer base scurry in and out, which included a wide range of ages or backgrounds. A budtender eventually called my name to enter the bud room, as each customer needs to be attended by a staff member for compliance reasons. In the other store, we walked straight into the bud room after check in, and an employee met us immediately to help since it was less crowded. The bud rooms themselves were beautiful and sleek with industrial lighting and mostly wood paneling and finishes, reminding us of Starbuck’s decor. All of the products from flower and edibles to concentrates and lotions were also nicely packaged and well organized, similar to products in an Apple store. Mason jars with flower lined glass displays while edibles and lotions sat on shelves or hung on walls behind. Overall, it felt like visiting upscale boutiques. The time and effort the budtenders took with me stood out given how busy the stores are after now selling recreational marijuana in addition to medical for just over a week. When they opened at 7am on the first day of adult use sales, budtenders told me they had long lines out the doors, seeing hundreds of customers within just the first few hours. They’ve been receiving over one thousand customers a day since, particularly lots of tourists. Unlike other states that started running out of supplies soon after legal sales started, such as in Nevada this past summer, the stores we visited still seemed to have plenty of product in stock and mentioned no issues. One of our budtenders said he continues to expect many tourists as customers going forward given how easy it is for locals to find marijuana in California through friends etc. Especially with where retail marijuana prices are starting out, it will be hard for dispensaries to compete against the black market. We saw some flower on sale for upwards of $370 to $400 an ounce. Granted they were premium quality, but a popular online tool with regional crowdsourced price data shows the price of a high quality ounce of flower in California averages at just over $250. We expect prices to fall over time as the market adjusts after the initial frenzy, as it did in Colorado and Washington, but the high cannabis taxes in California will continue to serve as a headwind. Aside from the 15% state excise tax there are also other state and local taxes. Fitch Ratings reported effective tax rates on retail marijuana in California could be as high as 45% compared to 20% in Oregon, for example. Another wrinkle in terms of payments is that all the stores we visited required cash like most dispensaries in the industry. We don’t expect this to change soon especially after Attorney General Jeff Sessions’ new memo that takes a more aggressive stance towards the legal marijuana industry than the Obama administration. Consequently, most banks and credit unions will continue to take a conservative approach by not serving marijuana-related businesses for fear of regulatory issues. Therefore, each store we visited had ATMs in both the waiting room and bud room. All ATMs at one busy dispensary were not working, causing some frustration as customers could not use their debit or credit cards but had to leave to go find an ATM. Moreover, our impression from budtenders is that the legal retail marijuana market, while now available and novel is also still in a state of flux. California’s Bureau of Cannabis Control, for example, has only given temporary licenses to retailers, distributors, microbusinesses and testing laboratories, which are valid for 120 days. After that, they must obtain a permanent license, a move some budtenders said upset many in the business for all the added costs. To illustrate this point further, as soon as I entered one bud room, my budtender told me to not get too attached to brands because “who knows which companies will stick around”. There is also not as much selection for adult users so far compared to medical as companies are also adjusting to the new recreational rules. Medical consumers can purchase edibles with higher doses than retail customers, so we saw some chocolate edible companies in particular only available for those with medical cards as they are in the process of repackaging for adult use. 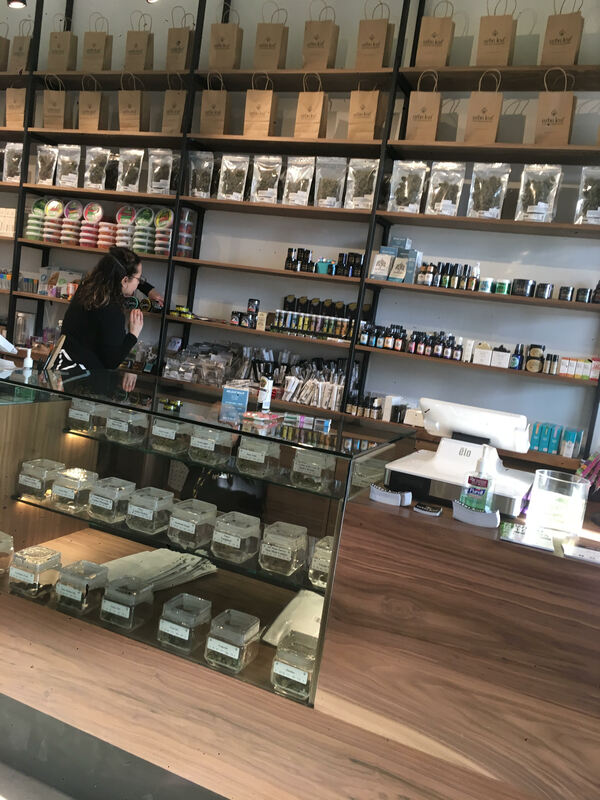 Bottom line, California marijuana dispensaries are pulling in a lot of money after introducing retail products, but the market will likely take a bit of time to adjust to the new stipulations put in place by Prop 64. The stores themselves, at least the ones we visited, are quite impressive and perfect potential acquisition targets for large liquor or tobacco companies to eventually own or franchise once the drug is legal federally. Again, that could take some time with the recent pressure on the industry from Sessions, but it is a matter of when not if. So what can investors take away from this? Marijuana dispensaries are creating a very attractive experience for consumers from the striking aesthetics and quality offerings to the friendly and knowledgeable customer service. It does not feel like you are buying a drug, but rather at a high end retail store. The more recreational marijuana stores pop up across the US as other states legalize adult use, the more it will take away from other discretionary purchases (i.e. alcohol, restaurants, movie theaters, malls, etc.). Perhaps rather than go to dinner and a movie on a Friday, a couple may enjoy the experience of picking out some nice flower/fun edibles at their local marijuana store and stay in for the night. Or rather than buy a couple of shirts at the mall, someone may want to pick up an eighth of flower to enjoy a few blunts after work throughout the week. And rather than going through the efforts of getting a prescription, perhaps a cannabis product could ease the pain like a lotion one budtender showed me that helped her leg. Time will tell what the substitution effect marijuana will have on other industries, but it could be very meaningful. Shortly after I left one dispensary, I received a text which read: “Welcome to the club! Please download our Fast Pass App for quick access to our menu and daily specials.” Dispensaries are learning new ways to draw consumers in by building customer loyalty programs, and also offering delivery services and the ability to order ahead and “skip the wait”. Ultimately, we can’t help but think just like any other retailer the industry will eventually be “Amazoned”. But for now, it is one of the few success stories in brick-and-mortar retailing. And it will only get bigger in the near future.